Cooking is enough work without having to worry about keeping your pans in good condition. You shouldn’t have to be overly precious with objects designed for use with fire and knives. 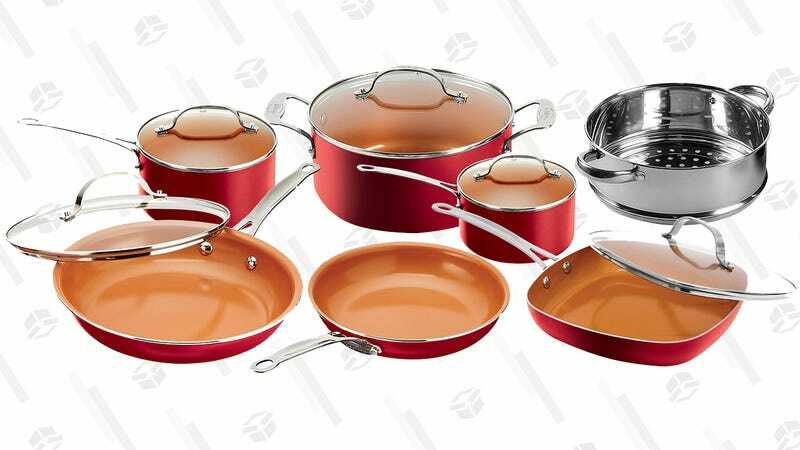 While you’re nodding in agreement, click on over and add the Gotham Steel 12-Piece Nonstick Frying Pan and Cookware Set to your cart for $99, and enjoy the freedom that comes with pots and pans you can stick in the dishwasher. The titanium ceramic coating supposedly keeps anything from sticking, but that sounds too good to be true; maybe try making your own Christmas candy in them and report back?